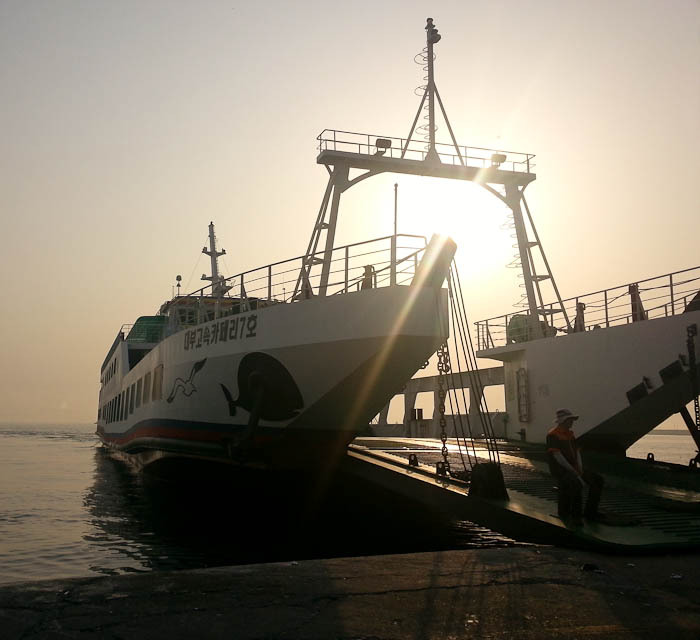 Early morning ferry to Daebudo. 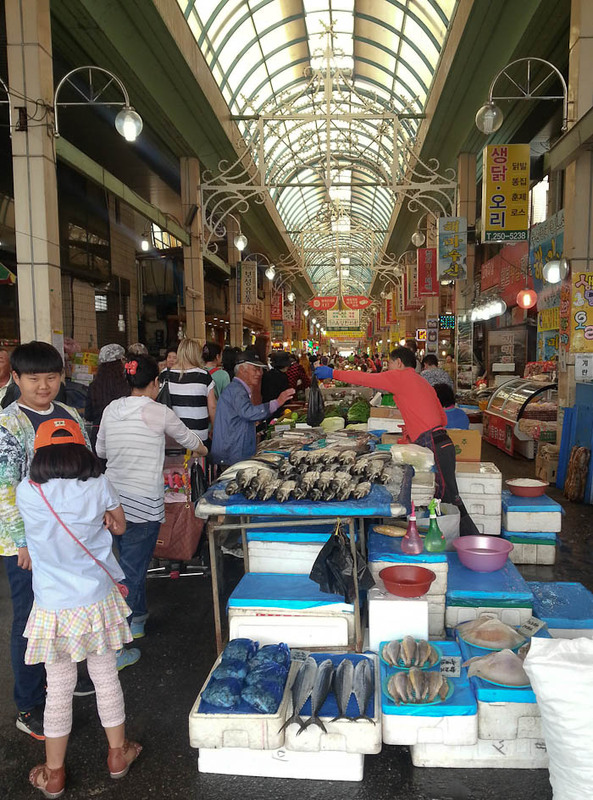 Koreans feeding shrimp flavored cheetos to seagulls. This is a thing here, apparently. 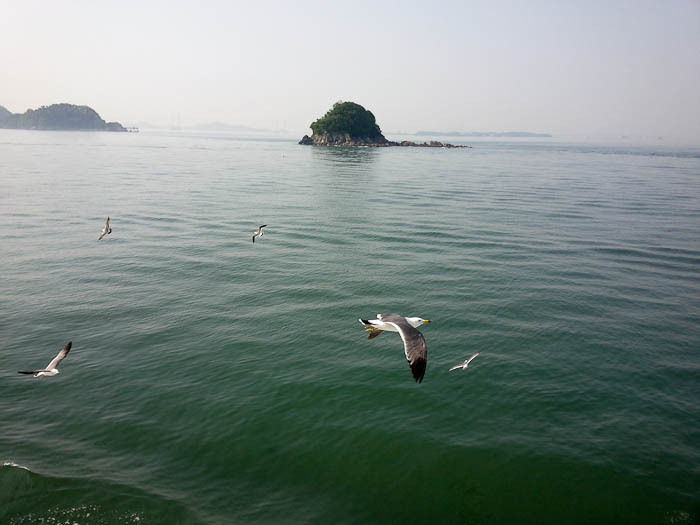 Seagulls chasing the ferry, hoping for more shrimp flavored cheetos. 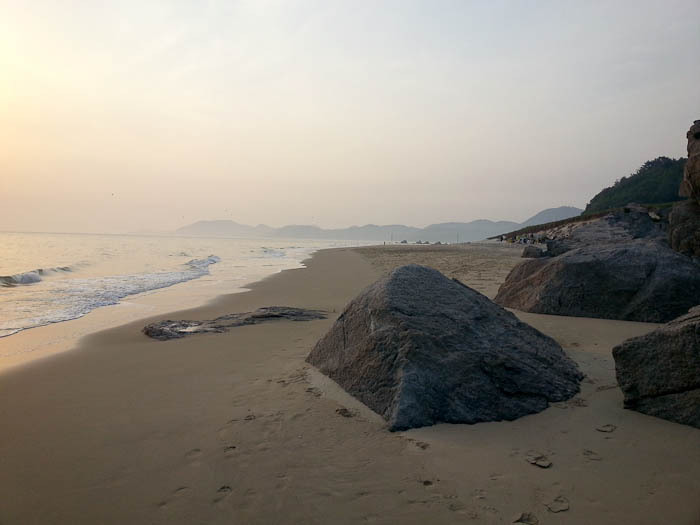 Finally made it to the beach in Korea and it happened to be on a deserted island. 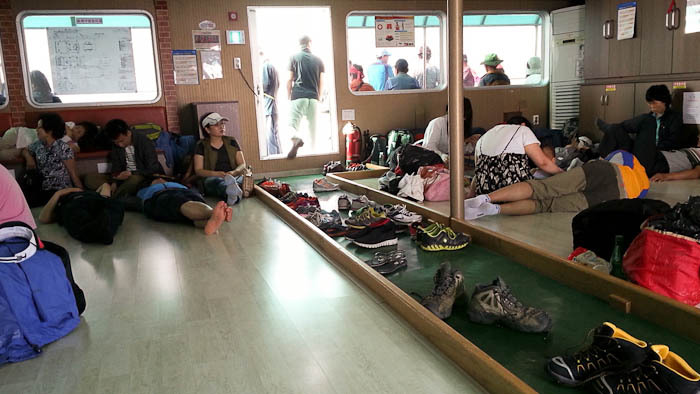 What the inside of a Korean ferry looks like. Where’s the furniture? 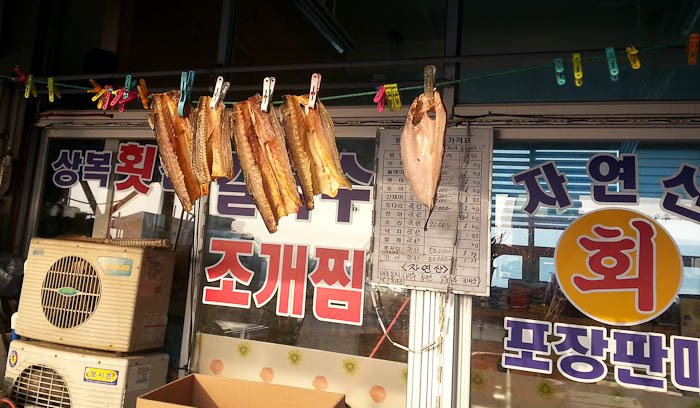 Hanging fish out to dry. 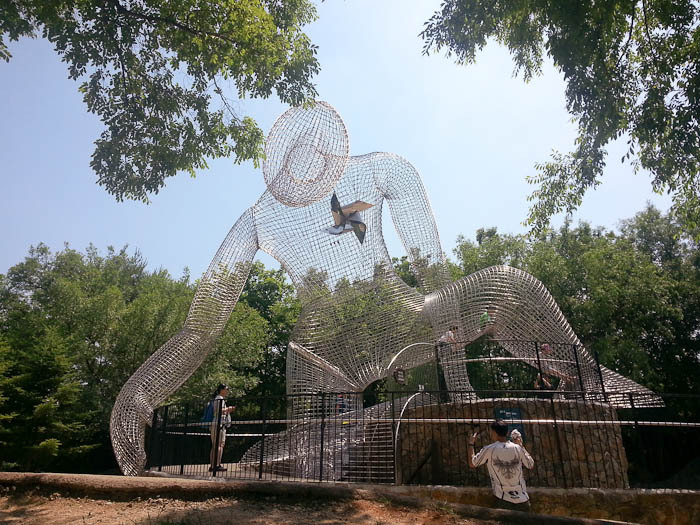 Interesting sculpture in Seoul Forest. 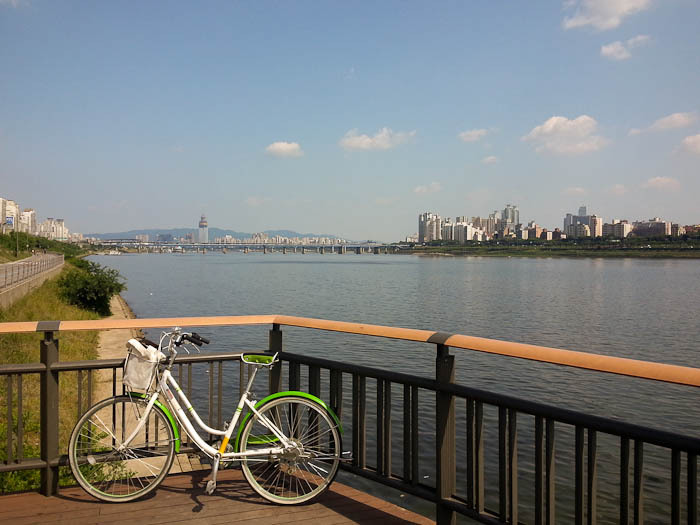 I rented a bike and cruised along the Han River in Seoul. It was such a beautiful day! 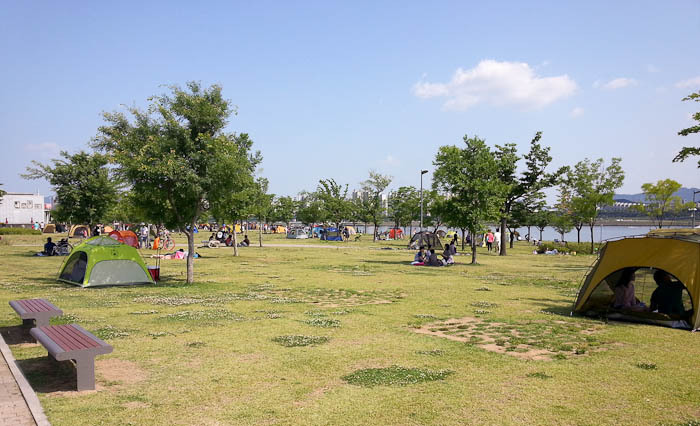 Koreans like to pitch tents for their picnics in the park. I suppose it makes sense. 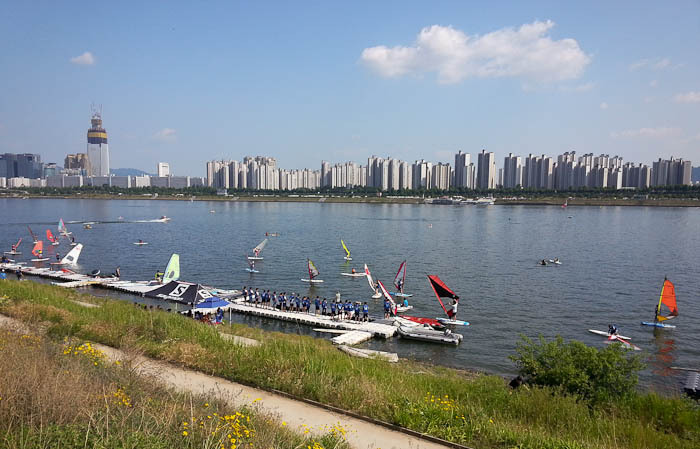 Watching windsurfing lessons on the Han River in Seoul. 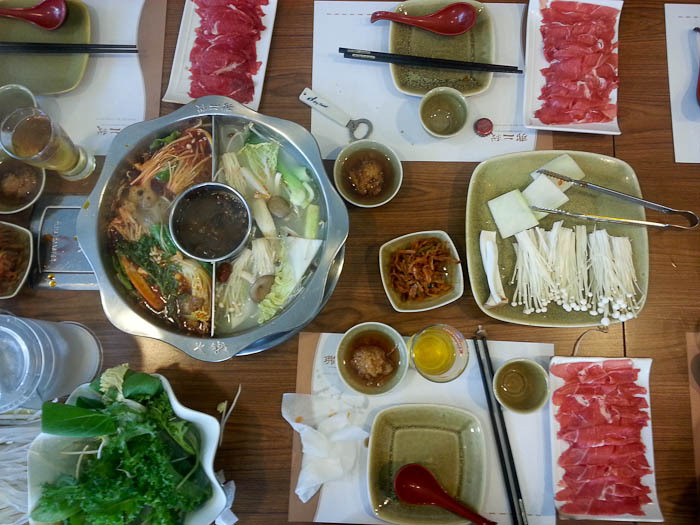 Chinese Shabu Shabu in Seoul. It was delicious! 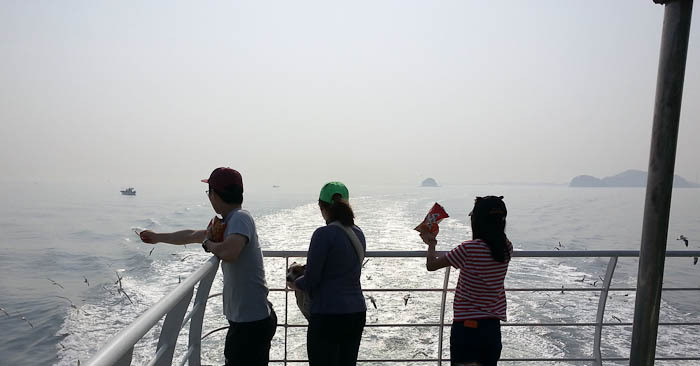 What an interesting concept for a ferry…looks relaxing.